From platform pacification implements, to caches inside a statue and buried sutras, certain Buddhist offerings were made in secret and concealed. These offerings were believed to hold spiritual potency to empower, even activate, their recipients. But why were these concealed offerings considered so powerful? Why the secrecy? 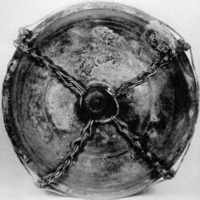 This presentation demonstrates how the seemingly unrelated acts of devotional concealment in fact contributed to imbuing certain types of objects with protective or talismanic power, allowing them to simultaneously affect and embody the spiritual power of their recipient when they were used as concealed offerings.